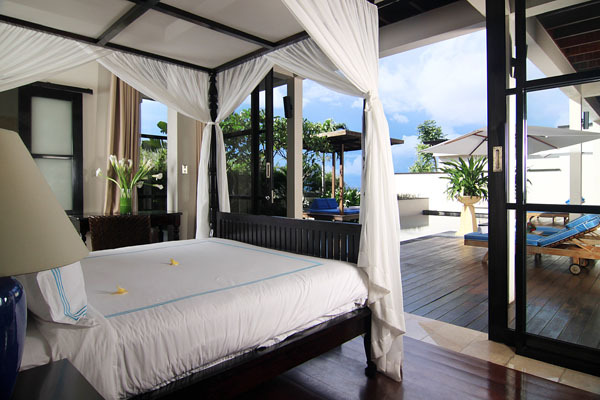 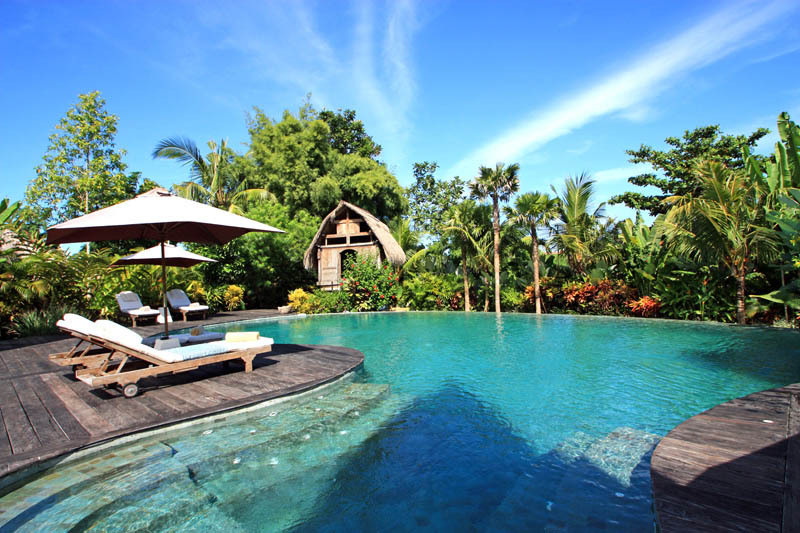 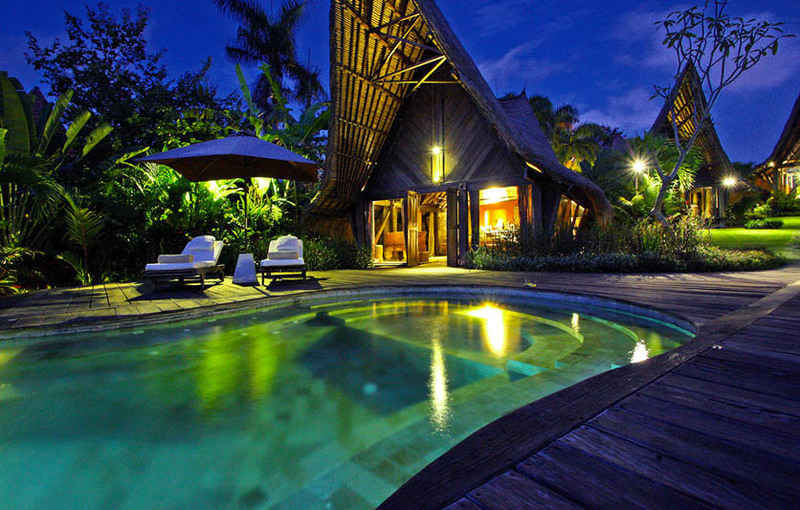 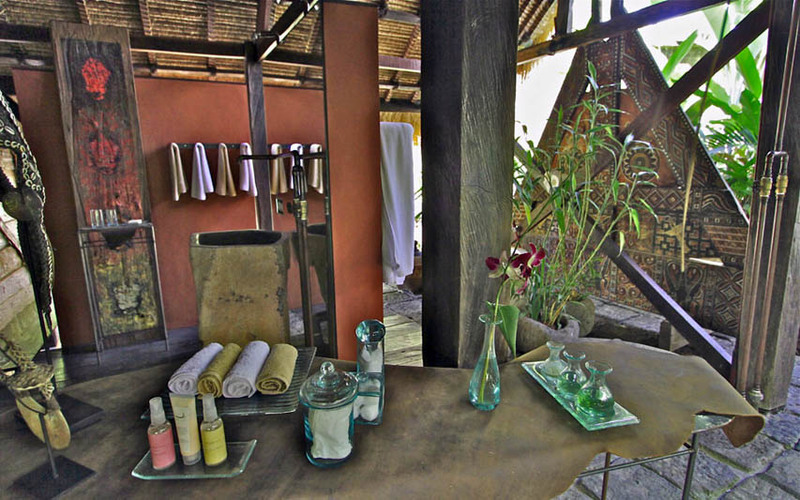 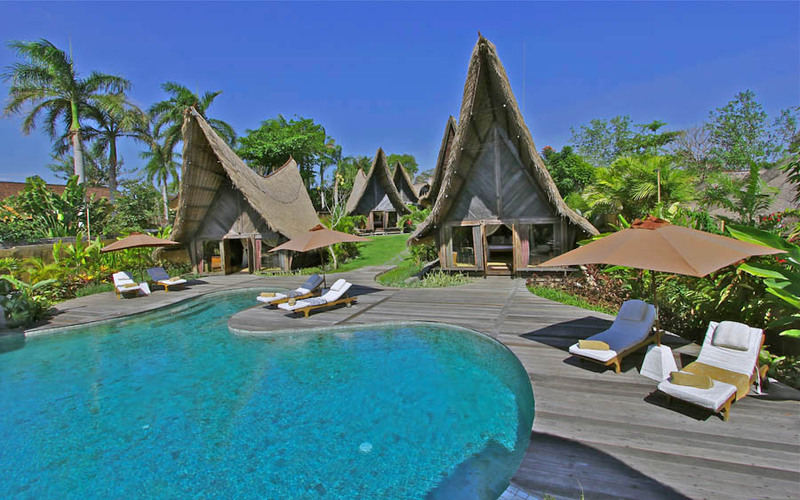 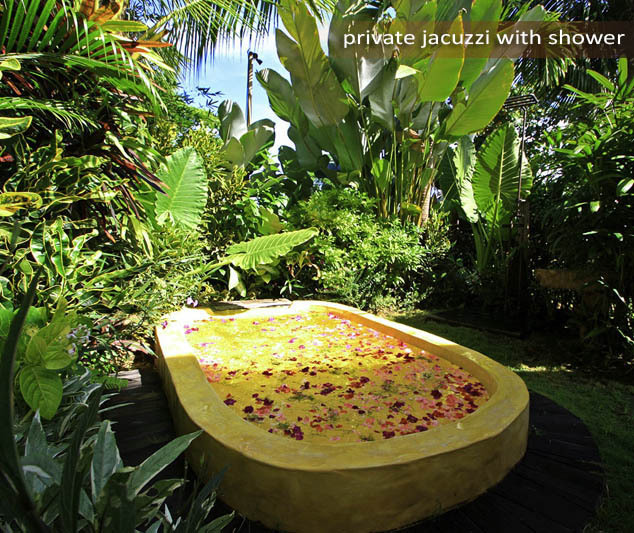 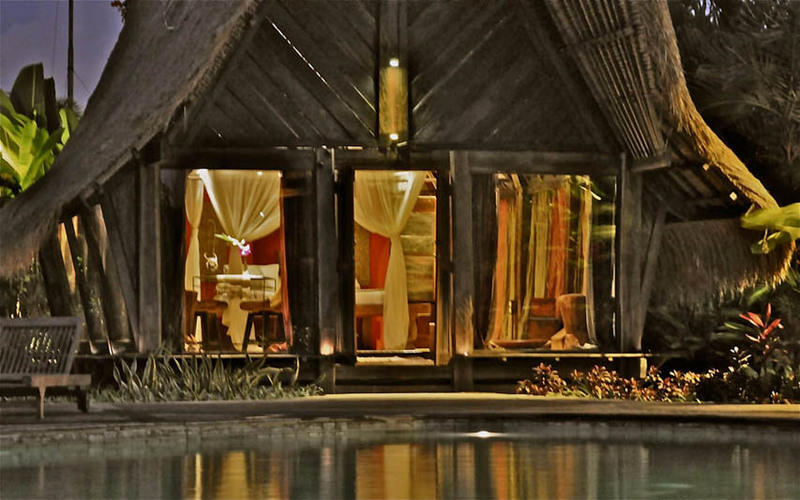 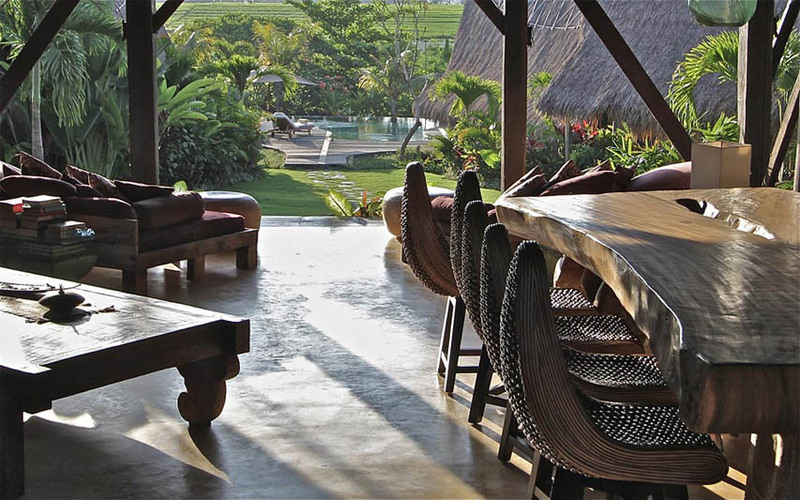 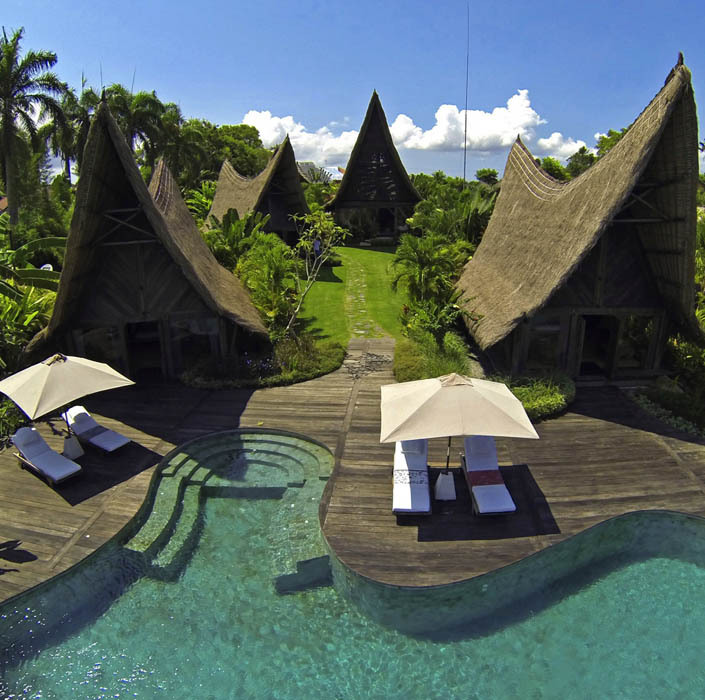 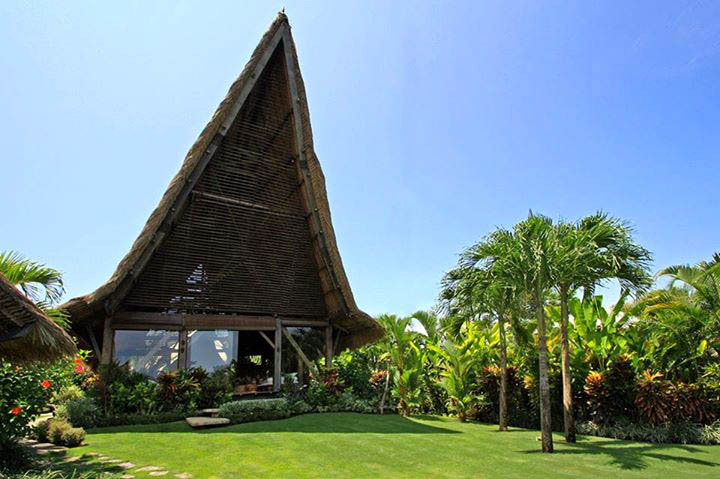 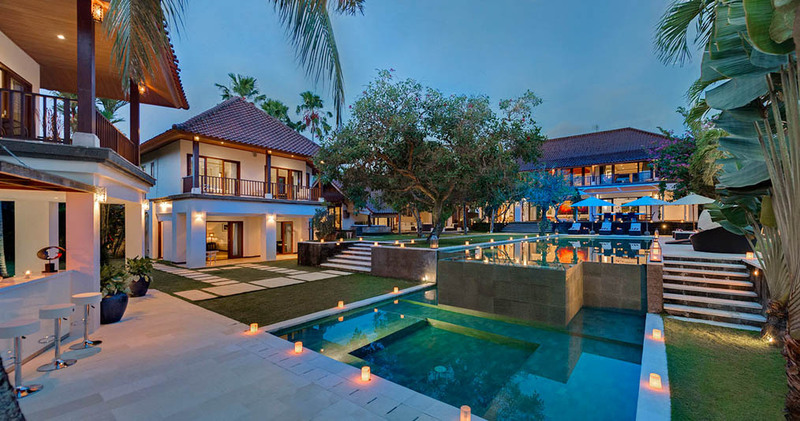 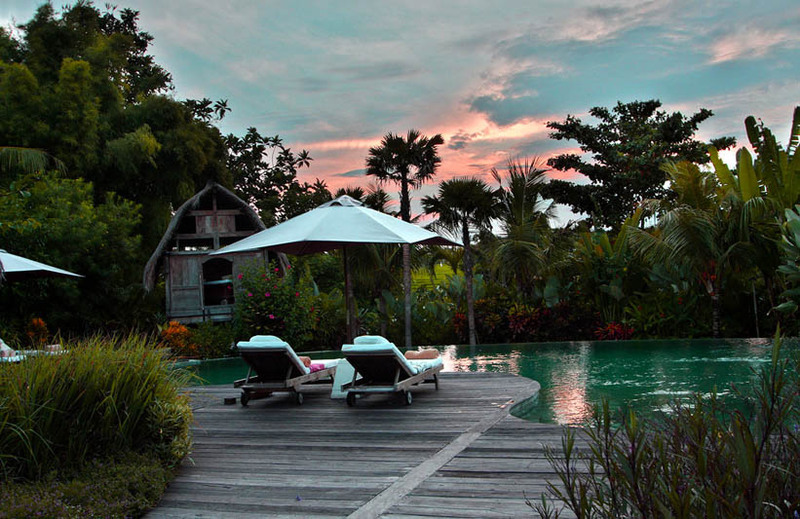 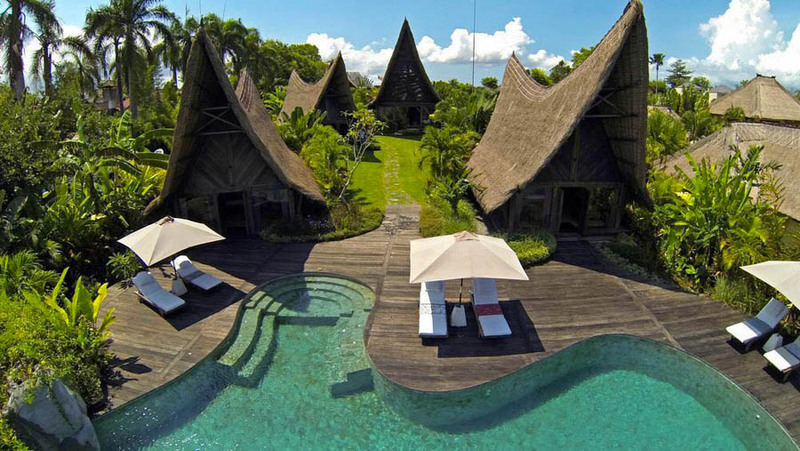 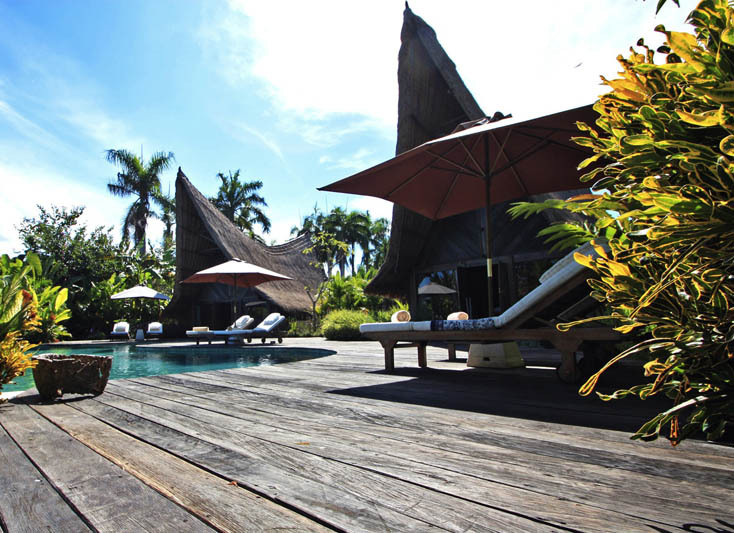 Villa Rona is a luxury private haven hidden in the green scenery of Umalas, a quiet and charming area. 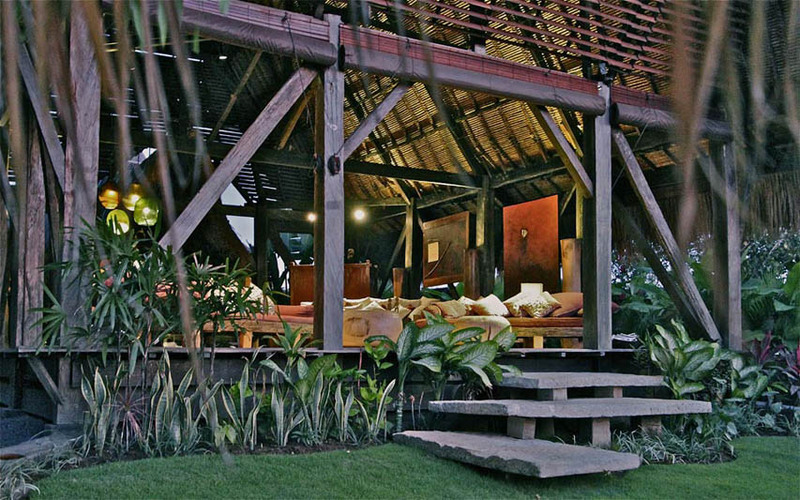 Built on a 2,300 sqm land, you will have enough space to enjoy your stay with your friends or your family. 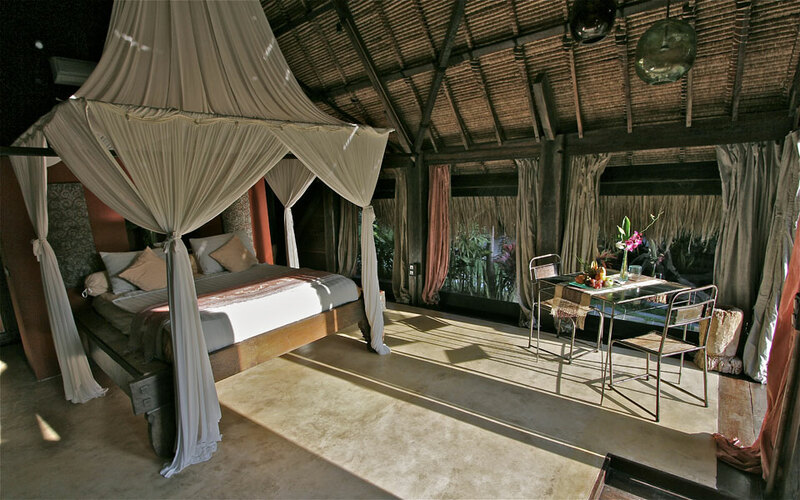 The rental is composed of 4 spacious bedrooms with air-conditioning, Wi-Fi, mini-bar, king-size beds and open-air bathroom with rain shower. 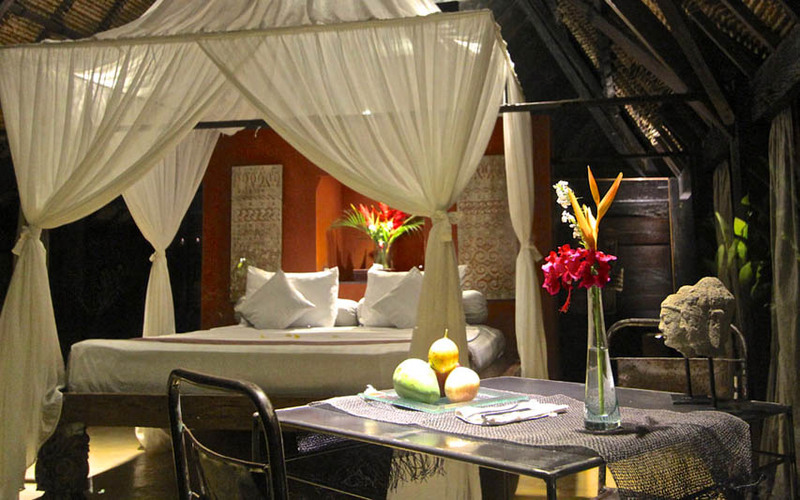 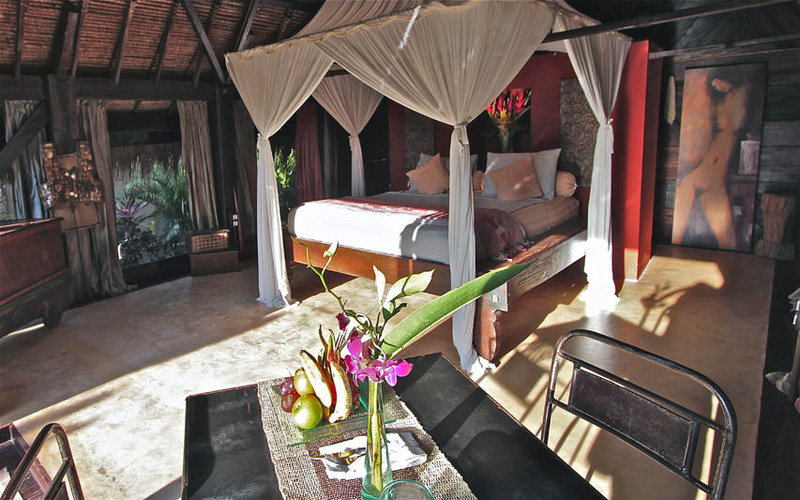 Each bedroom has its own building built entirely with iron wood. 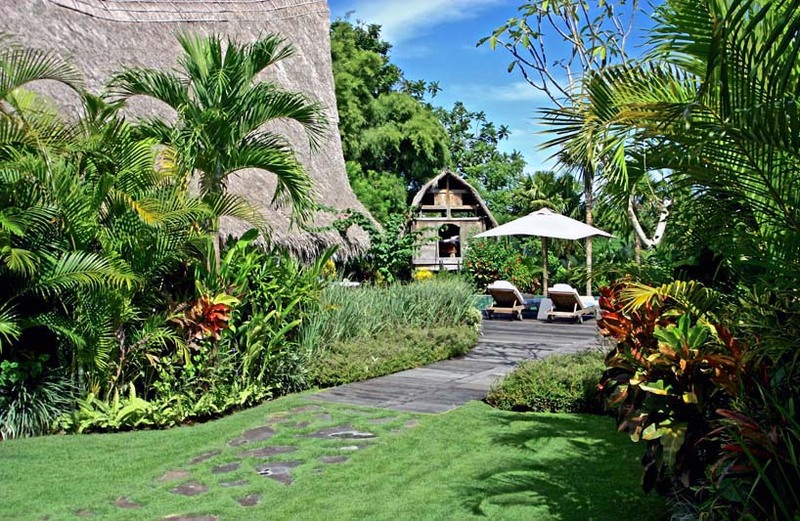 Inspired by the traditional houses of the north Sumatra, it blends with the gorgeous landscape of Bali to create an enchanted setting. 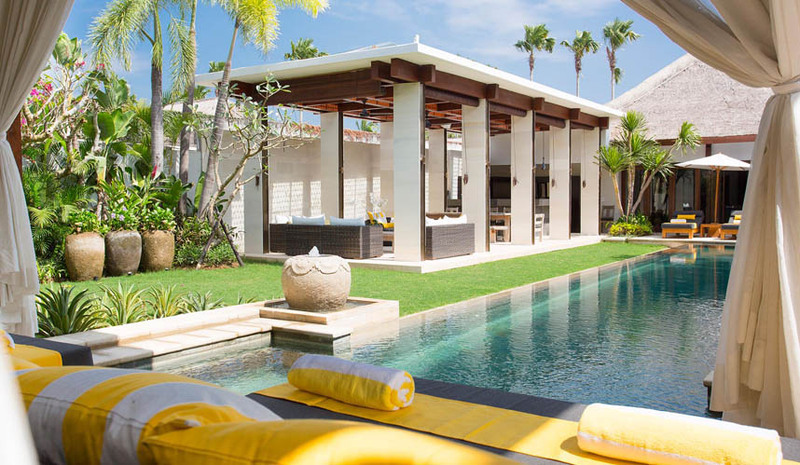 The separate living area, designed as an open-space area, is located in the middle of the property. 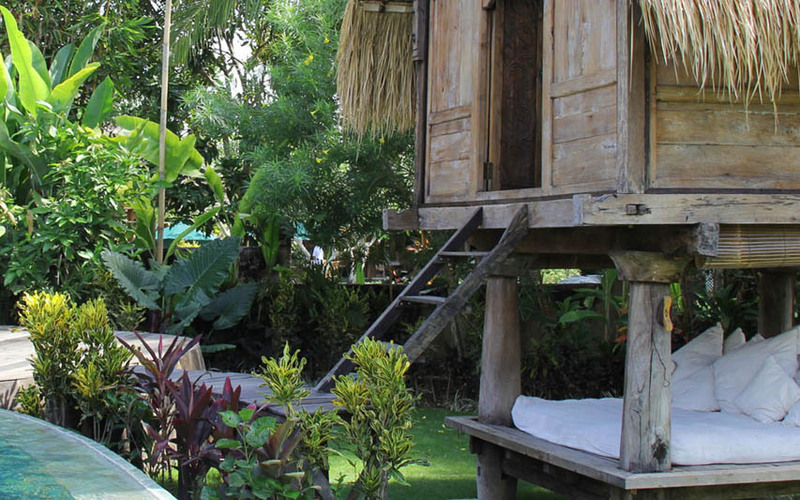 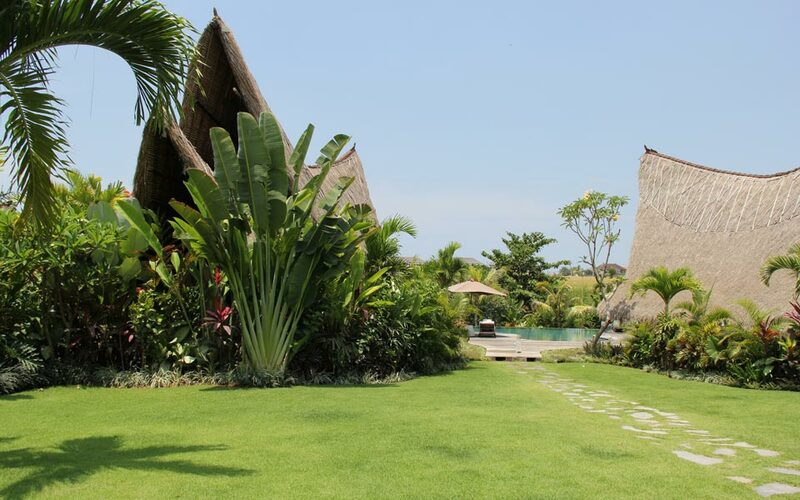 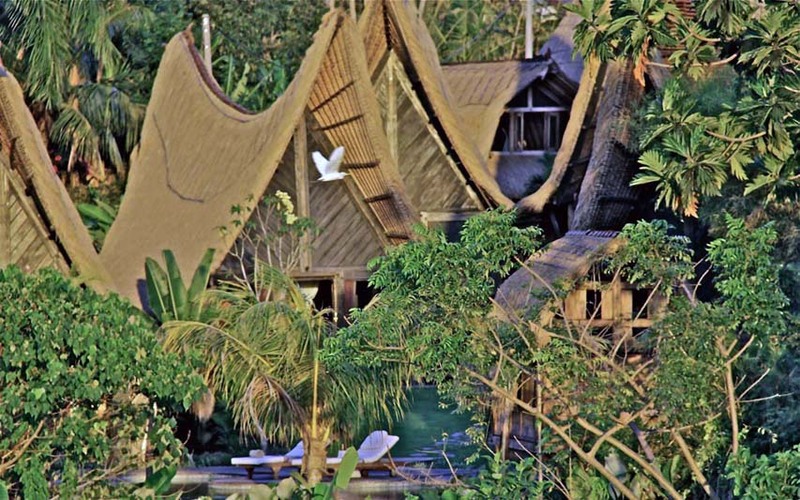 In the evening you will have a gorgeous view sunsets on rice fields located in front of this lovely place. 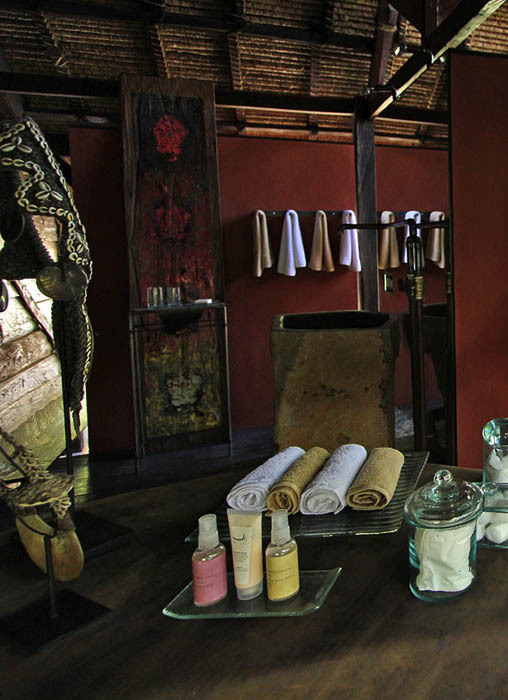 Want to relax and feel pampered? 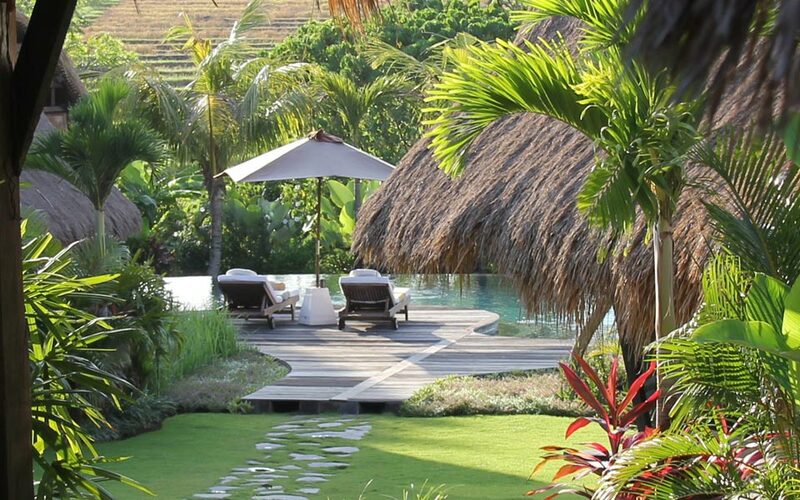 Bali I love you will organize everything on your request. 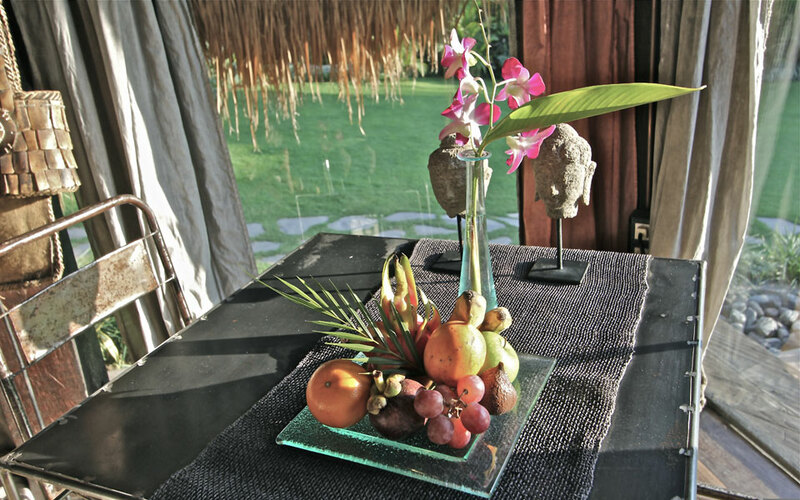 There, delicacies of our chef will wait for you. 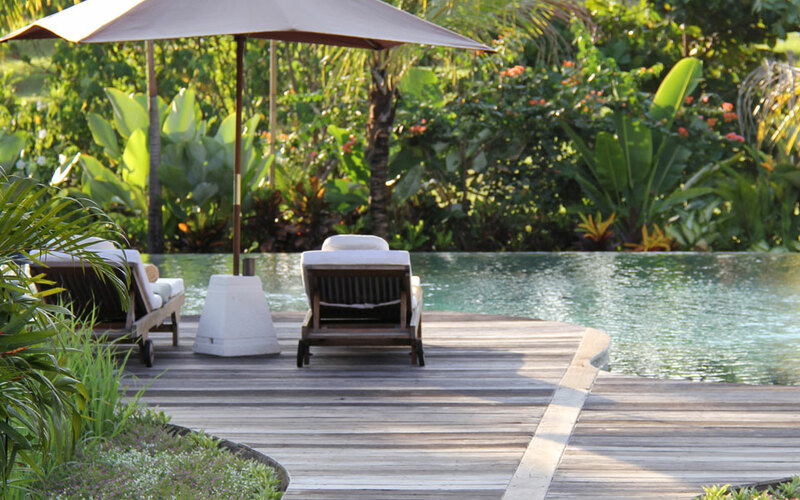 You will feel in paradise with the spa located just behind the pool. 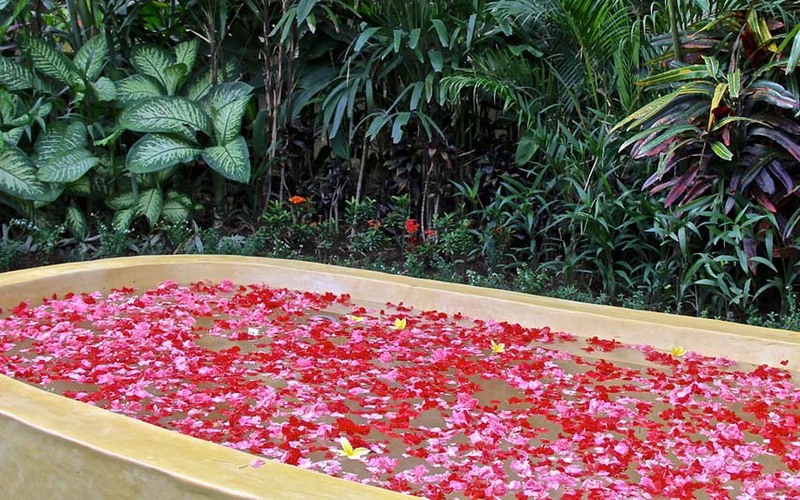 Enjoy the Jacuzzi, our treatments available at the spa and the wonderful garden which is dedicated to your absolute relaxation. 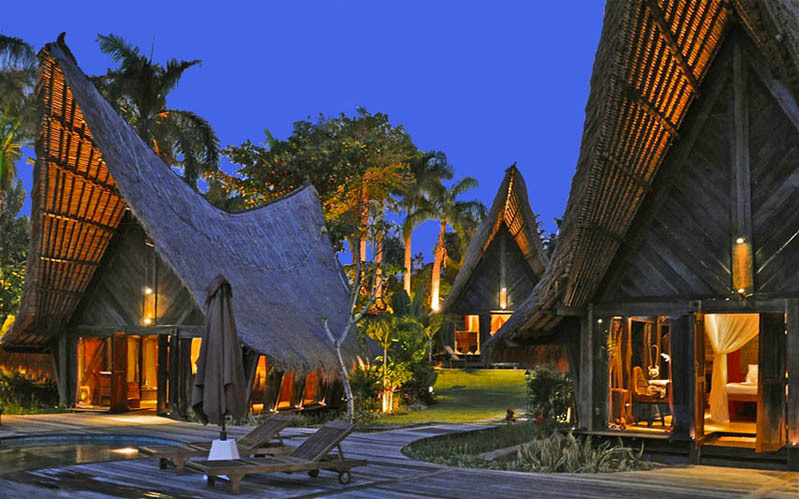 Due to its location, you can enjoy a variety of shops, restaurants, nightclubs and the beach nearby. 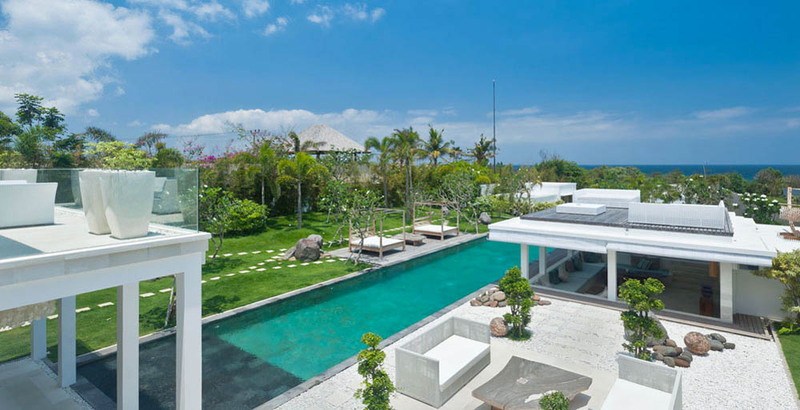 Only 25km separate the villa from the airport.